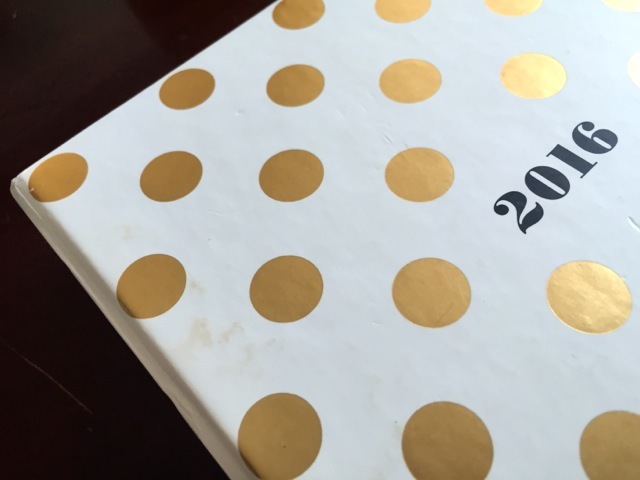 Today is the first of December and if you're looking for a planner to use for next year, let me review for you the Kate Spade 2016 agenda. I bought mine from an Instagram seller back in September. 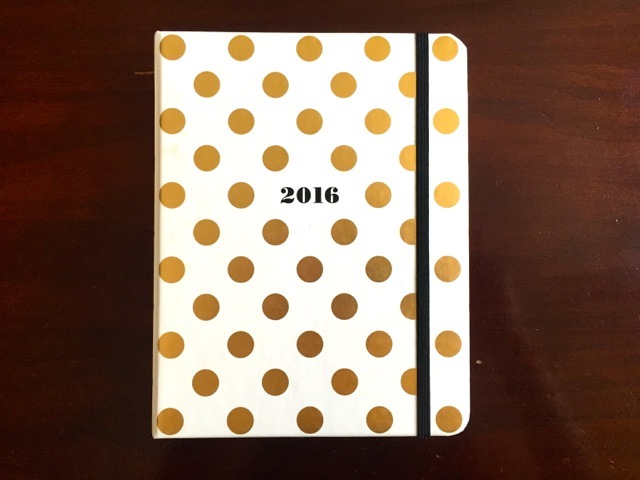 It's the 17-month 2016 medium agenda so the planners starts in August. Why? I seriously don't know why but I'm guessing it's because school in the U.S. of A. starts in August (September?) so their year starts that month. Someone else told me fiscal years also start in August, September. 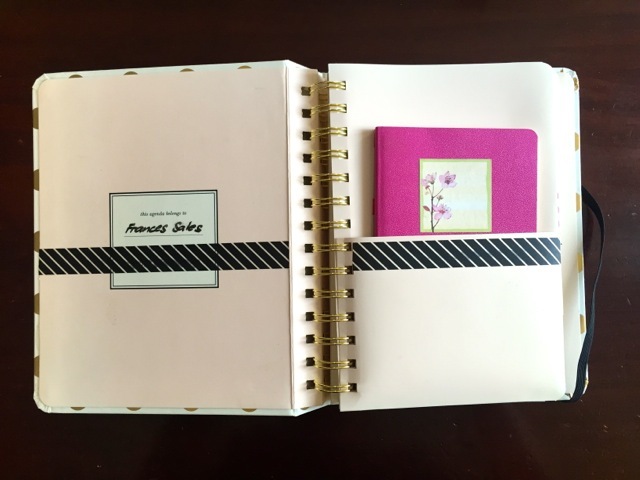 The Kate Spade agenda comes in two sizes and four designs. Large and medium, and black-and-white stripes, gold polka dots, one in pale blue and one in green with the words "She is quick and curious and playful and strong," and a fun print. I wanted to get the striped one (I love stripes!) but the IG seller only had the polka-dots so that's what I bought! Let's start with the cover. I like that it's hard-bound and can withstand the abuse of being used daily. I don't like that it gets so dirty, though. I wipe it down every day and it still gets these weird stains. Maybe Kate Spade should laminate their covers. I mean, I don't want to cover it in plastic!!! Inside, the polka-dot agenda has a pale pink IFC and IBC (that's inside front cover and inside back cover). On the IFC is the owner's information. Don't mind the washi tape—I made a mistake with my phone number so I had to cover it. The first "page" is a pocket folder. I put a small Moleskine notebook there for my extra notes, plus other stuff like stickers, receipts and raffle stubs. The IBC is empty so I wrote a reminder on it. The first real page is just a blank space so I taped a passion card from Chasing Dreams. 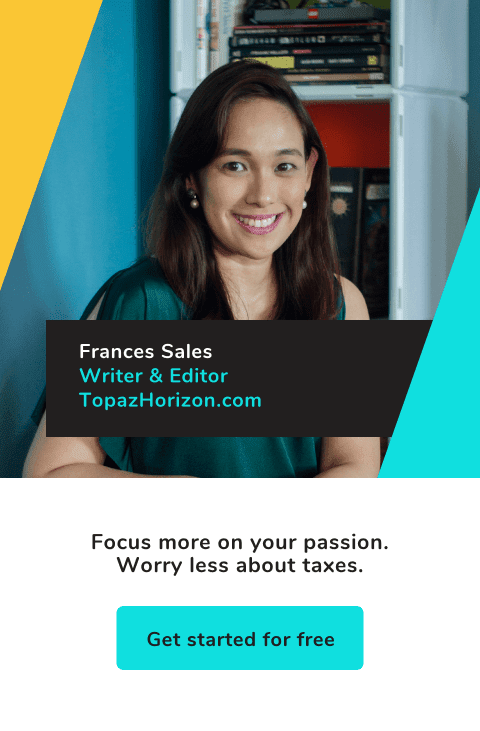 I love Rhiza Oyos's passion cards! Her shop is closed for now, though. 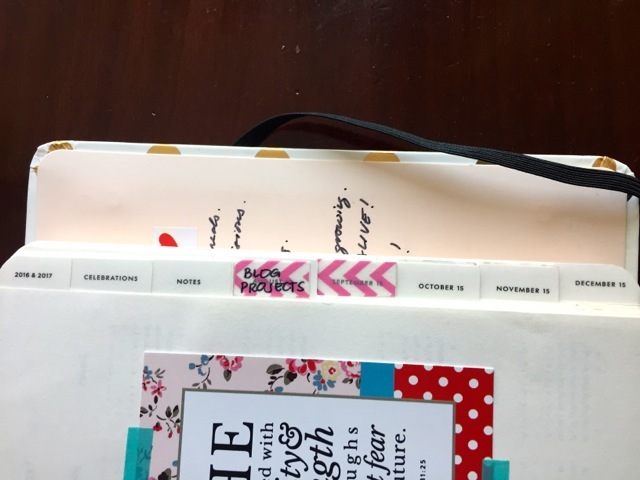 It's not just passion cards I post in my agenda, I also tape photos between each month! Hi, Vito! 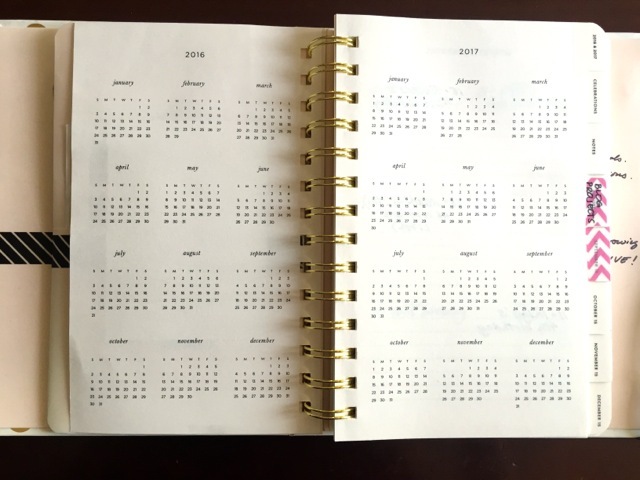 The months are separated by polka-dotted pages, which you can easily find because of the laminated tabs. 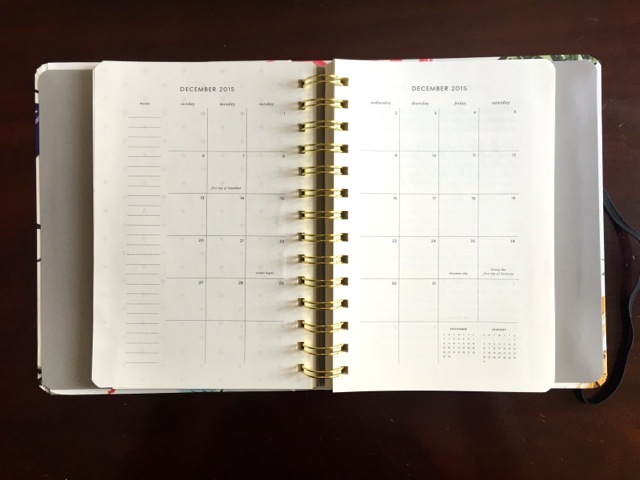 I use my month spread for scheduling blog posts. This one's for December 2016 because my current December spread is soooo messy! There are 15 pages for notes, which I find generous. Since I got this agenda in late September, I'm using the August and September pages for notes, too. 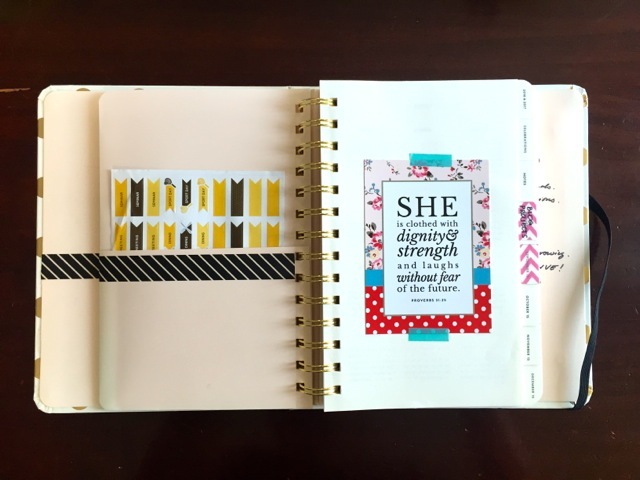 See those tabs with pink washi tape? 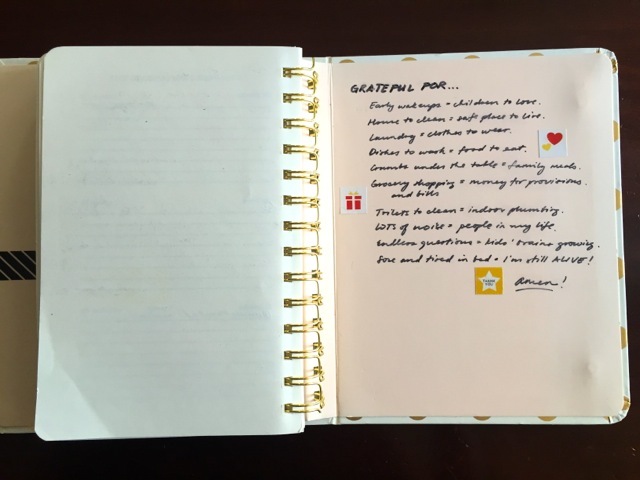 I use those now for notes on my blog projects and for BABY Magazine. The agenda is a weekly layout. I didn't think this horizontal layout would work for me, to be honest. But I like that I can see my week in one spread. I also put my appointments here instead of in the month's spread. This way, I can see if my day is full. 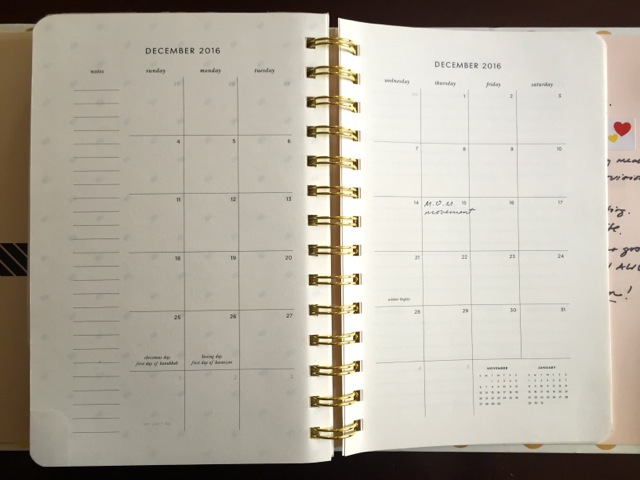 If I have many appointments in one day, that day fills up and there's no space (on the page and in my day!) for more things to do! 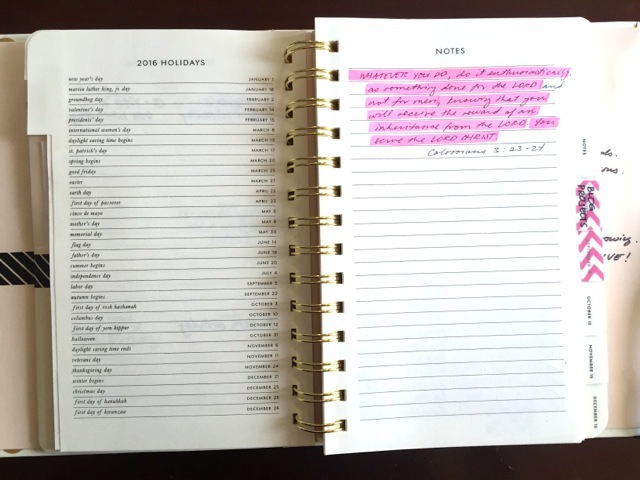 I used to have a daily planner, you see, and I fill up the whole page with To Do's and I get so exhausted! But with the Kate Spade's super limited space for each day, I can actually stop and say, "Okay, day is full. Move the rest to the other days!" This has given me so much freedom to breathe! I've had my agenda for more than two months and so far, I am loving it. In fact, I have another one! It was given to me by my Skechers family as a birthday gift. Thanks so much, Skechers! Pretty print of items like a typewriter and a landline! Love the elegant gray IFC and IBC. I use it as my journal. I tried a really blank notebook for journalling but again, the limitless space exhausts me. Having a small space forces me to just pick out the very best (or the very worst) that happened that day. 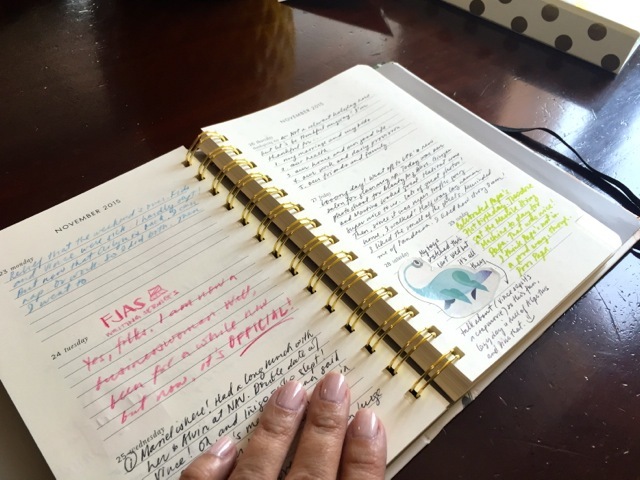 Now journalling isn't so daunting! 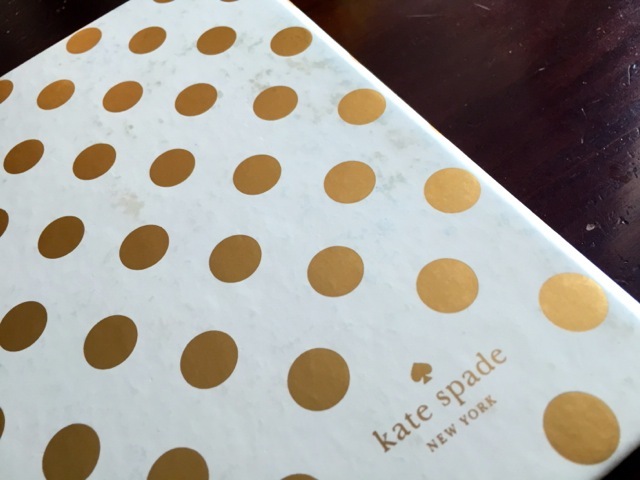 I super love my Kate Spade 2016 agendas! It's simple, no frills, no nonsense. Classic and useful and pretty. It's not full of other people's quotes nor is it overly designed, you know, fraught with tips on how to lead my life, telling me why I'm not as successful or peaceful or mindful as I should be. I mean, life is stressful enough already! Don't lecture me na haha. I love that the Kate Spade agenda is not busy. The only busy one is me. It's just plain so I fill it up with stickers and colored pens and washi tape! So by it being a blank slate, I can be creative with it. Just the way I like it! I love it! 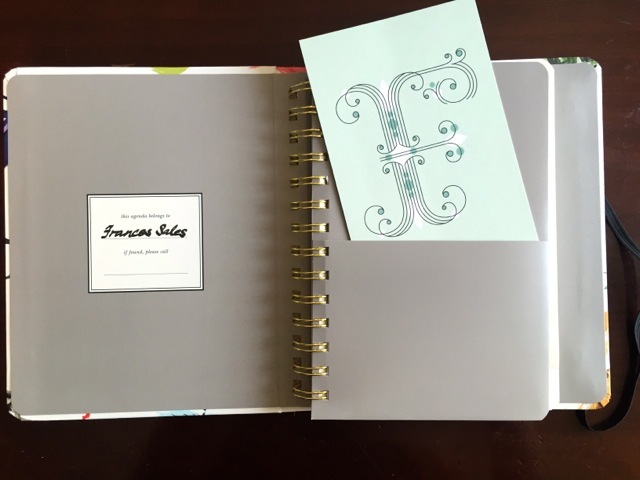 I finally found the planner that works for me! 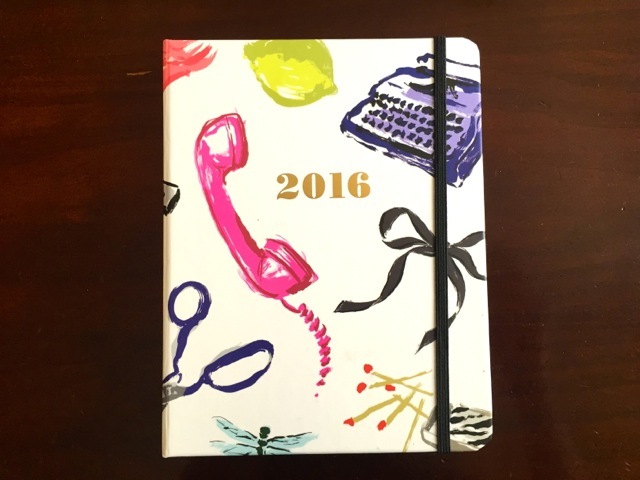 If you also want a Kate Spade 2016 agenda, they are now available at National Book Store and Powerbooks. The large size is P2,399 and the medium one is P1,999. Funnily enough, the Kate Spade stores don't have them. I checked. Don't buy from eBay.ph (I looked) because the sellers charge double. Nyek. How about you? 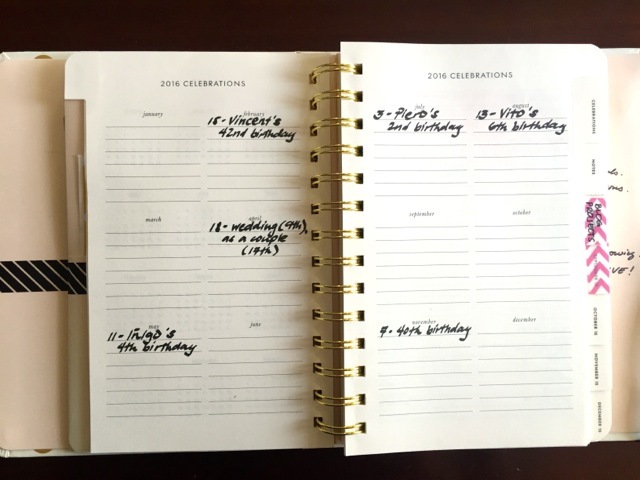 What planner do you use and why? I use 3 planners. I use a personal size Filofax as my main planner. 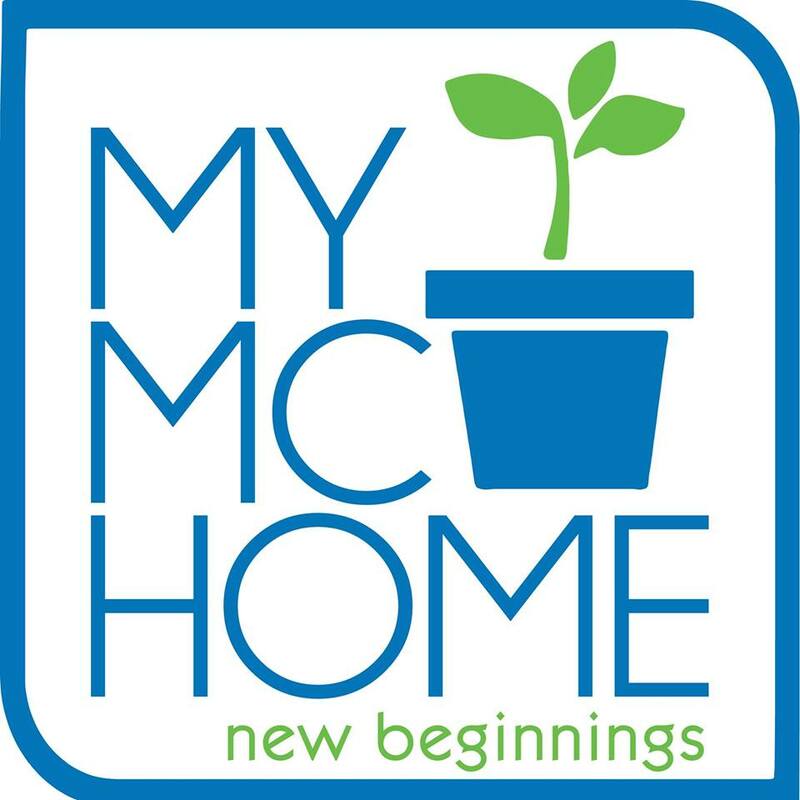 I've been using it for 2 years and it has been a great help in organizing my life. :) It's customizable that's why it'll definitely suit any needs. There's a lot of free printable inserts online too! 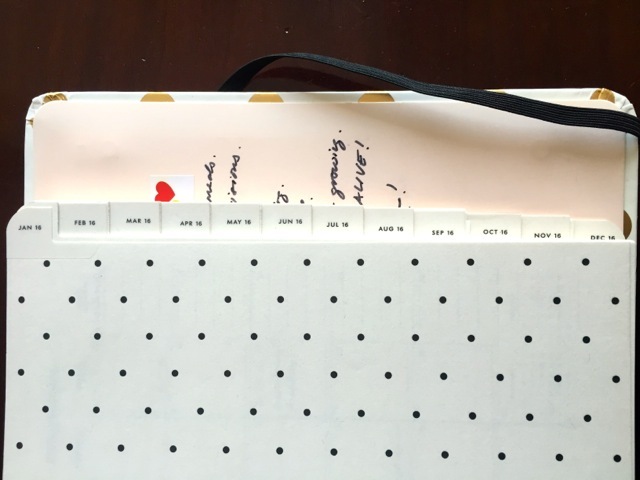 I have 7 dividers: Monthly, Weekly, Cash flow, Brain Dump, Work Schedule, Home Management, and Medicine/Medical Tracker. Since it's my main planner, I leave it at home because it's bulky and heavy, But I bring it to meetings with me. 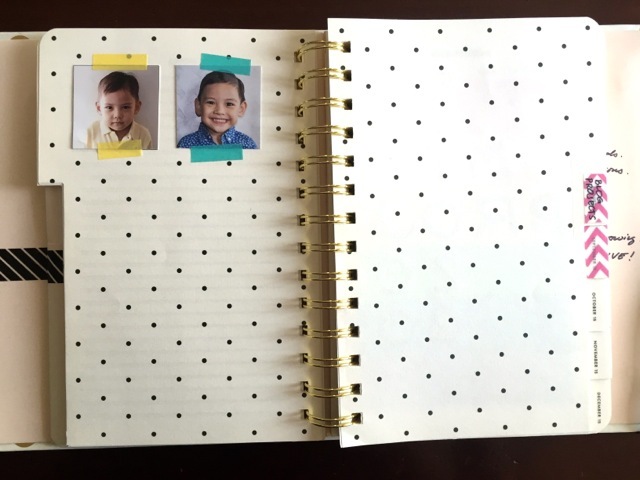 Second, I use Paper Blanks 18-Month Day-planner to keep in track of my son's school activities. And third, I use a travel size Midori that I bring with me everywhere I go. It's compact and you can also customize it. 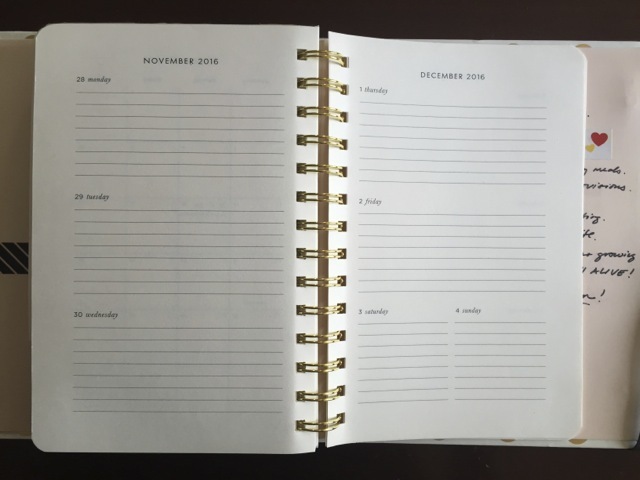 I write daily activities ( I also use spiraldex), cash flow, plans, meetings, freelance, etc. I jot down anything I need! There are times that I bring all 3 when I go out of town or go to a coffee shop for my "me time". Crazy planning woman represent! Haha. Please share which instagram shop please.